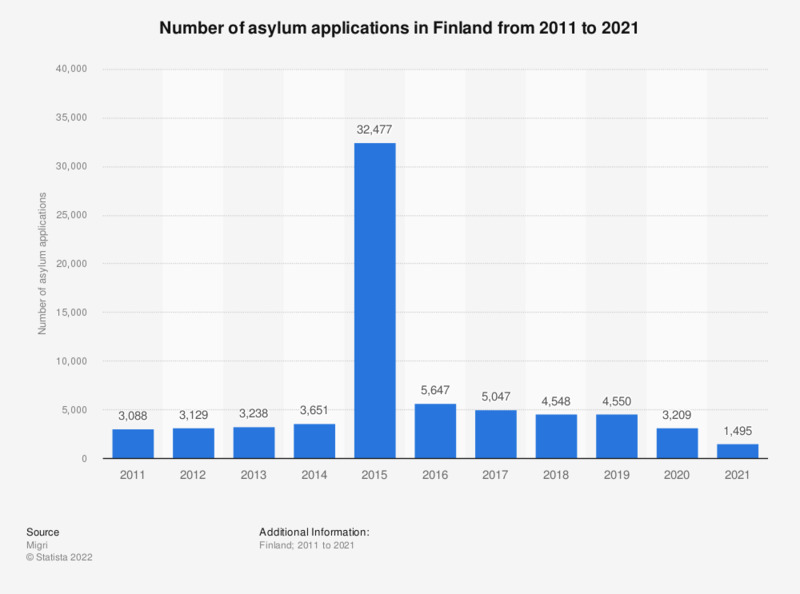 This statistic shows the number of asylum applications in Finland from 2005 to 2018. During the survey period, the number of applications fluctuated, reaching a peak of nearly 32.5 thousand applications in 2015. In 2018, the figure amounted to roughly four thousand. * In 2018, the figures represent applications from January to November of that year. An asylum-seeker is a person that has applied for asylum in Finland. The numbers shown represent strictly the number of applications that are given at the time of entrance.